Publications — Jerusha Tanner Rhodes, Ph.D. This book uses the approach of comparative feminist theology to engage diverse Muslim and Christian feminist, womanist, and mujerista voices. It argues for the value of comparative feminist theological engagement and proposes constructive Muslima insights relating to Divine revelation; textual hermeneutics of the hadith and Bible; Prophet Muhammad and Mary as feminist exemplars; theological anthropology; and ritual prayer, tradition, and change. This book explores the Qur’anic discourse on religious ‘otherness’. This book draws upon feminist theology and semantic methodology to re-interpret the Qur’anic discourse and challenge notions of clear and static religious boundaries by distinguishing between and illuminating the complexity of multiple forms of religious difference. “Toward a Comparative Feminist Theology.” In Brill Companion to Comparative Theology, ed. Pim Valkenberg. Leiden: Brill, forthcoming 2019. “Muslima Theology.” In Routledge Handbook of Islam and Gender, ed. Justine Howe. New York: Routledge, forthcoming 2019. “Feminist Fractals? Perry Schmidt-Leukel's Fractal Interpretation of Religious Diversity and Comparative Feminist Theology.” In Incarnation, Prophecy, Enlightenment: Perry Schmidt-Leukel’s Fractal Interpretation of Religious Diversity, ed. Alan Race and Paul Knitter. Maryknoll: Orbis, forthcoming 2018. “Theological Models of Religious Pluralism: Historical Precedents, Contemporary Trends, and New Possibilities.” Jewish-Muslim Relations in Europe: Past, Present and Future Perspectives. Vienna: University of Vienna, forthcoming 2018. “Feminist Exegesis and Beyond: Trajectories in Muslima Theology.” Institute for Islamic Theology, Wilhelms-Universität, forthcoming 2018. “Reform and Renewal in Contemporary Islamic Thought.” McGinley Lecture Series. New York: Fordham University, 2018. “Beyond the Rays of Truth? 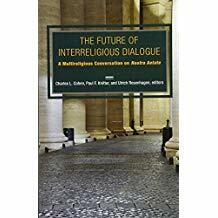 Nostra Aetate, Islam, and the Value of Difference.” In Nostra Aetate & the Future of Interreligious Dialogue, ed. Charles L. Cohen, Paul F. Knitter, and Ulrich Rosenhagen. Maryknoll: Orbis, 2017. “Muslim Theology of Religions: Religious Pluralism in Contemporary Muslim Thought.” In “Comparative Theology,” Zeitschrift für islamisch-theologische Studien, Institut für Studien der Kultur und Religion des Islam, 2017. “Interfaith Marriage: A Concern?” McGinley Lecture Series. New York: Fordham University, 2015. “Thinking Differently about Difference: Muslima Theology and Religious Pluralism.” The Journal of Interreligious Studies, Issue 13 (Winter 2014): 34-43. “Pluralism and Commitment: A Muslima Perspective.” In Deutung des Wortes – Deutung der Welt im Gespräch zwischen Islam und Christentum (Interpreting the Word—Interpreting the World: Islam and Christianity in Dialogue), ed. Notger Slenczka. Berlin: Evangelische Verlagsanstalt, 2014. 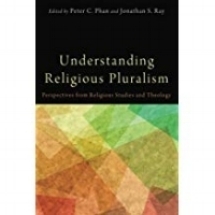 “Lateral and Hierarchical Religious Difference in the Qur’an: Muslima Theology of Religious Pluralism.” In Understanding Religious Pluralism, edited by Peter Phan and Jonathan Ray. Eugene, OR: Wipf & Stock, 2014. “Pilgrimage in Islamic Theology.” McGinley Lecture Series. New York: Fordham University, 2014. “From Sexual Difference to Religious Difference: Toward a Muslima Theology of Religious Pluralism.” In Muslima Theology: The Voices of Muslim Women Theologians, edited by Ednan Aslan, Elif Medeni, and Marcia Hermansen. Berlin: Peter Lang GmbH, 2013. “Embracing Relationality and Theological Tensions: Muslima Theology, Religious Diversity, and Fate.” In Between Heaven and Hell: Islam, Salvation, and the Fate of Others, edited by Mohammad H. Khalil. New York: Oxford University, 2013. “‘Mapping’ the Religious Other: The Second Vatican Council’s Approach to Protestantism.” Journal of Ecumenical Studies 45:4 (Fall 2010): 604-616. “Mysticism in African Thought.” In New Dictionary of the History of Ideas, edited by Mary Cline Horowitz. New York: Scribner & Sons, 2004.